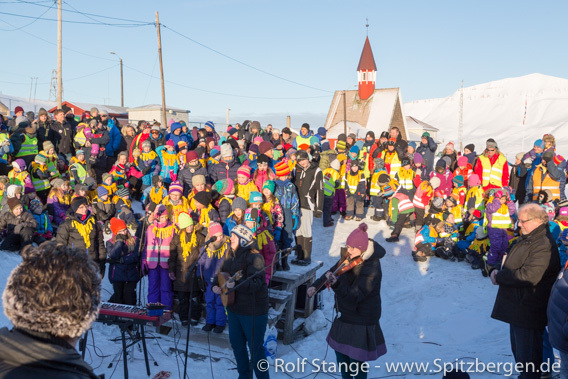 The return of the sun to Longyearbyen (solfest = sun festival) was celebrated on Thursday (08 March) in good tradition. On this day, the sun returns to Lognyearbyen after several months of polar night. Just for a few moments and only if the weather is good, but that is enough reason to celebrate with several days of cultural events. This time, there was not a cloud on the sky, so everybody could enjoy the rays of the sun on the skin! Meanwhile, some “old boys” around Robert Hermansen, former boss of the mining company Store Norske, try to come up with a plan to put the already abandoned coal mine settlement of Sveagruva back to life and work. Politicians have already said that they don’t appreciate such plans. For sure, there will be a lot of talking still about Sveagruva in the future. 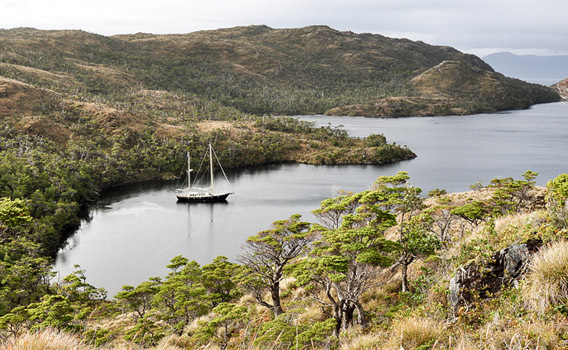 Elsewhere, suitcases (or rather rucksacks) are being packed: on Sunday (11 March), we will start sailing in Patagonia with SY Anne-Margaretha. This means of course that the travel blog will start again soon! Please visit antarctic.eu for the southern chapters of my travel blog. “Patagonia under sail with SY Anne-Margaretha: starting on Sunday. The travel blog will then also start soon on antarctic.eu.